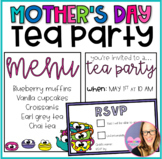 Mother's Day tea invitation, tags, food labels, and bunting printables! 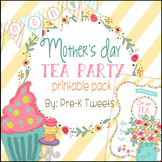 This is a ZIP file and contains a PPT and PDF version of the Mother's Day Tea Party printable pack. 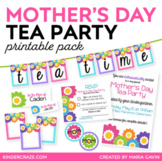 This printable party pack includes: 1 sweet invitation - Add your own date, time, and place. 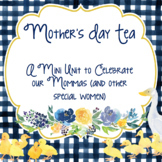 Invitation measures 5x7 inches. 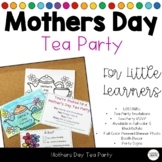 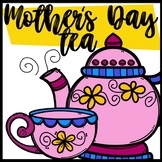 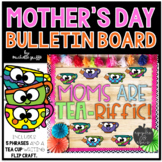 Editable Mothers Day Tea Party & RSVP Cards for when you host a Mothers Day Tea Party in your classroom. 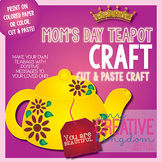 This is a sweet card for Mother's Day. 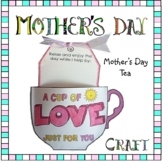 Simply have your students sign their name and glue on a tea bag!! 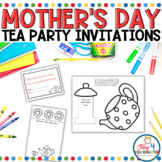 This was a coloring page we put together for our Daycare's Mother's Day Tea Party. 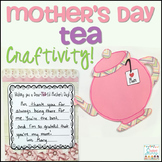 The children loved coloring this page, mothers loved the little gift, and it matches the Mother's Day Tea invitation (in my shop).